In recent years, some movies have been leaked weeks and even months before its release which kills the buzz and its anticipation. 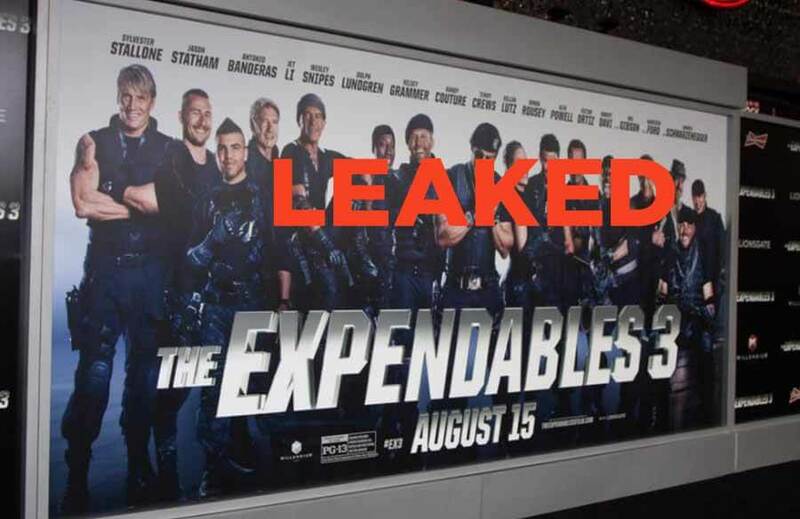 Movies that are a part of a major franchise or a big studio are being the primary source of leaks. Here is a list of such Hollywood movies that got ruined by leaks. The movie had a solid opening with a collection of $62 million in its first weekend, however, faded away in the following week, both because of critics and the leak. Gilberto Sanchez was captured for transferring an incomplete duplicate, paying fines and condemned to house arrested by the courts, which is presumably where he invested more time pirating. Just hours after its release, a time-stamped copy was uploaded online. A post-production employee was accused of taking the duplicate from the office and was indicted in court. Soon after, a pirated copy showed up in China and spread through the internet with misinterpretations and hilariously misleading subtitles. This did hamper some of the craze and collection of the movie. The pairing of M. Night Shyamalan with Mark Wahlberg created a lot of buzz among fans. However, the picture got negative reviews from everyone and it was regarded as one of M. Night’s worst. But the joke was on hackers as the movie was so bad that no one even downloaded it. The movie barely even recovered its budget, let alone profit. ‘Zombieland’ raked in huge profits at the box office. It mad more than three times than the movie’s budget. The movie received positive reviews universally. Yet, the makers believe that they could have had far more than they made if the film hadn’t got leaked just before the released. There were more than a million downloads on the internet and it hurt the collection. More than one million people illegally downloaded the Wolverine-focused film in the first week after it was leaked as estimated by the Hero complex. The film was supposed to be a blockbuster but ended up performing poorly with an opening day collection of just 55 million dollars. The story received poor reviews as well because of its disastrous ending, as a result, no one went to watch the movie. ‘Expendables 3’ was a bad picture in every sense. The film is loaded up with so many action stars still all it could produce was terrible action scenes. Hence it got tanked at the Box Office even after so much star power. The movie was leaked two days after its release which affected the movie box office collection even more. This movie had the ingredient to become a blockbuster at the box office. But then the infamous curse of Sony Pictures happened and fury got leaked. Though the movie was a war film with a similar aspect as its predecessor, yet it had the right amount of buzz to get a great opening. But the illegal downloading of the movie made it impossible to even recover the budget. Next article What are the Royal Titles in Order?